The New York Stock Exchange began reopening its two equity venues that were shut down for hours Wednesday by a computer malfunction. Shares started trading on the New York Stock Exchange, the biggest of the company’s platforms, and NYSE MKT, the third-largest, after 3 p.m. New York time, data compiled by Bloomberg showed. Because shares have been trading elsewhere, the NYSE was able to avoid having to re-establish its own prices through auctions. 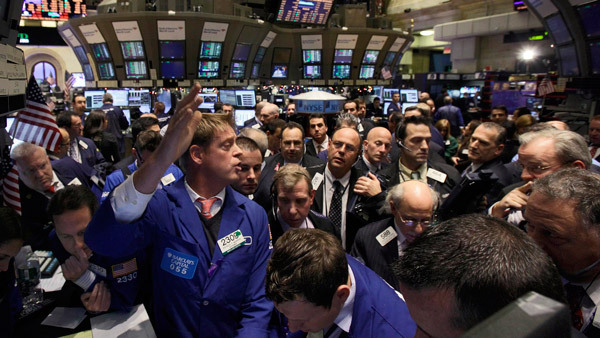 NYSE’s halt will go down as the biggest interruption to U.S. stock trading in two years. The last of comparable scope occurred in August 2013, when the Nasdaq Stock Market halted trading not only on its own platform, but anywhere stocks that it listed changed hands. At the same time, the malfunction highlighted the resilience of a market structure where no single venue handles more than 16% of overall market volume. Other exchanges such as Nasdaq and Bats kept operating as normal throughout the suspension. Nasdaq and the NYSE play dual roles in the U.S. market, acting as exchanges where investors buy and sell shares and also in an administrative and listing capacity overseeing the three official price feeds for American stocks. Those feeds, known as Tapes A, B and C, continued to operate today. –With assistance from Lu Wang in New York.